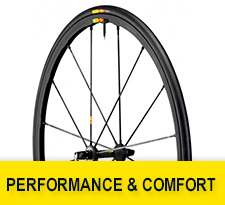 When low drag makes the difference, Mavic Hyperaero Wheel-Tyre Systems brings you up front. 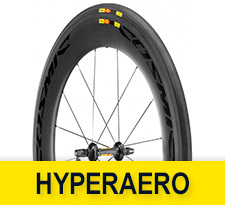 The Hyperaero WTS line features have the most advanced technologies and perfectly integrate wheel and tyre together in order to deliver the lowest drag ever. 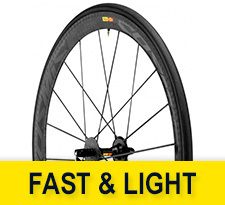 When a racer looks for perfect versatility, Mavic Fast & Light Wheel-Tyre system line is the flawless answer to be considered. Endurance riders need confirmed reliability and toughness, but they need speed as well; therefore high performance must be part of the equation.